Product information "Vision Processor D4 Board"
The Intel® RealSense™ Vision Processor D4 Board (Manufacturer’s Part # 952019) is a turn-key solution featuring the Intel® RealSense™ Vision Processor D4 integrated onto a compact circuit board. It features all the necessary connectors and interfaces to that allow you to start working with current RealSense™ Depth Modules. The D4 Board is able to output high quality depth and full HD RGB data over USB* when paired with a RealSense™ Depth Module. The compact size and efficient design of the D4 Board makes it ideal for small to mid-volume system integrators that are looking for a quick and easy way to design-in RealSense™ D400-series components into their products. 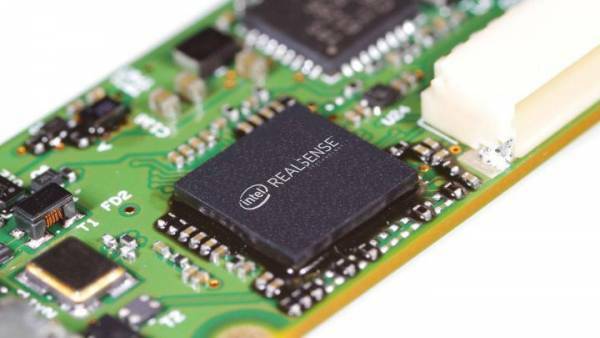 The Intel® RealSense™ Vision Processor D4 Board with a D400-series Depth Module is compatible with the Cross-platform SDK for Intel® RealSense™ devices enabling multiple computing languages and wrappers, sample code and tools. Related links to "Vision Processor D4 Board"
Product Details "Vision Processor D4 Board"